Simply put, the cloud is the internet. 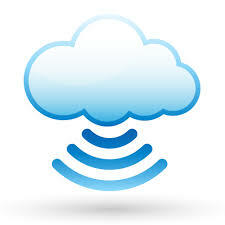 Since the mid 2000s, more and more programs and services that operate from the cloud have become available. One of the earliest and most familiar examples is Microsoft’s Hotmail. The Hotmail program operates and stores all your email online, allowing it to be accessible from any computer or device connected to the internet. No software is required to be installed on your computer or device, outside of a browser, to operate it. No installation required – Software is available immediately without having to worry about installing it. Automatic updates – When you use a cloud application, you are always working with the most up-to-date version. Updates are managed by the company that provides the software. Recovery – In the event of a hard drive failure or the theft of a computer/device, the cost and time required for getting up and running again is considerably reduced if documents are stored or backed up to the cloud. Reduced cost – For organizations that are required to have the most recent version software versions, cloud computing allows for considerable savings in software updates and the man power required to implement upgrades. Security issues – Care needs to be taken to ensure that you are using a reputable company that uses the highest level of security measures on their servers. Lax security on a cloud application or server means your data could be at risk. Must have high speed internet – If you have visions of telecommuting from the cottage or camp ground, cloud computing may not be for you. Without a stable high speed connection, online programs often won’t function well, or at all, in some cases. Increased cost – While there may be savings for larger scale users and frequent updaters, if you just have one or two devices and you tend to renew your software every 3-5 years then the monthly payment model will likely cost you more, depending on the software. Make sure to do the math.